Nodalview Virtual Tour: before connecting the 360º panoramas into a walk around experience. | Test Shoot by We Get Around Chief Photographer Dan Smigrod | Location: Atlanta Tech Village; co-working space includes We Get Around Network office. This post is only about the shooting experience using the NodalView Kit (Below). For the purpose of this test, I did not worry whether I was in the panoramas or in the reflection of a glass window. I shot for an hour. Using the Nodalview Kit – paired with a smartphone – it is super-easy and super-fast to shoot high-quality (HDR), sharp 360º panoramas for a Virtual Tour. For someone new to the 3D/360º Space, Nodalview may be a great entry level solution that costs less than $500 to get starter (and $250 if you already have a tripod). 1. 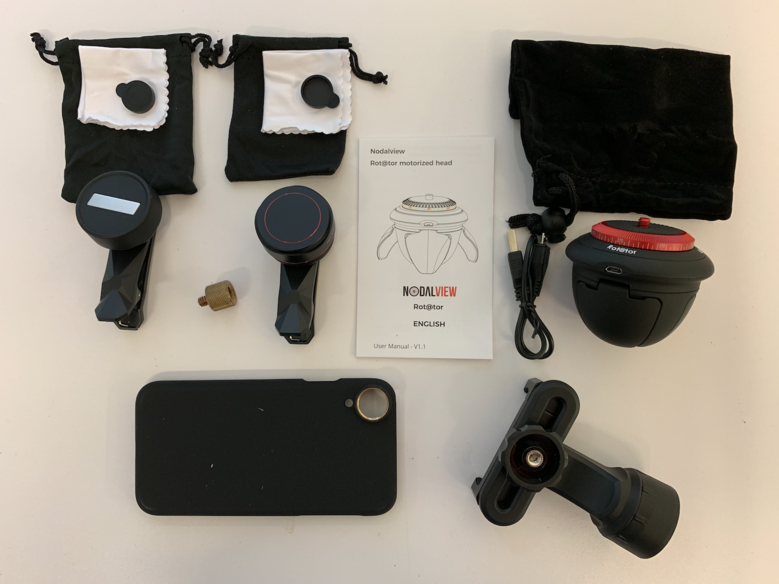 The NodalView fisheye lens screws on to a a NodalView designed case for my iPhone XR (Nodalview provides cases for most smartphones). If you ever tried a clip-on fish-eye lens for a smartphone, you know that it can easily move out of place: not with the NodalView lens and case included in the Nodalview Kit. 2. Easy to learn to shoot. While I did watch this video and read the short Getting Started with Nodalview instructions (below), the one thing that might not be obvious is to line up the lens over the nodal point to avoid distortion. I did one test shot and then jumped into shooting the second floor of the WGAN co-working space in Atlanta. 4. HDR is GREAT! The in-camera (my iPhone XR) HDR powered by the Nodalview iOS app looks great: even on especially bright outside views and somewhat dark inside. 5. Upload 360ºs to the Nodalview Cloud while shooting. I used Wi-Fi. I had the option of using 3G or 4G too. 6. Super-Fast Tour creation (as soon as I was done shooting, the 360ºs were uploaded to the Nodalview Cloud and ready for tour creation. 7. Horizontal and vertical line within the Nodalview app display to confirm that the camera is straight. 8. Naming the panoramas as I go (and I could not use the same name twice: which is a good thing). 9. The Nodalview Arm has a tight grip on my iPhone XR (despite its weight and size). 10. The eight shots around - every 45 degrees - likely means there is less chance of stitching errors. In my first pass, I did not see any stitching errors. 1. I could see the tip of one tripod leg in some of the panoramas. That said, that would be easy to eliminate if I used the Nodalview tripod instead of one of my Manfrotto tripods. 2. Not sure how I know how much longer the battery charge will last. I could imagine that there is an indicator for this. 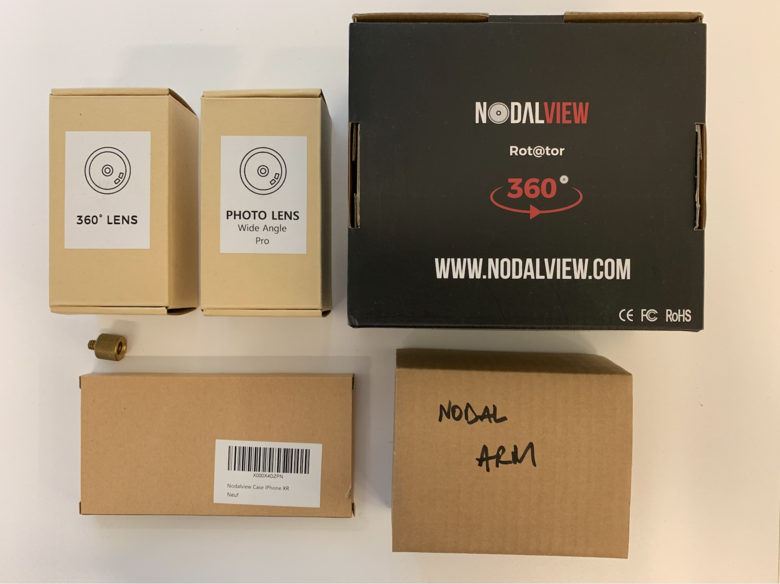 Nodalview contributed three Nodalview Kits to the WGAN 360º Camera Loaner Program, plus the free use of a Nodalview account for testing. Take a look at the 360º panorama images in the Nodalview tour. What do you think about the quality? Below are the Nodalview instructions for getting started. The Nodalview Getting Started Guide is also available as a video. If you are deciding on which 3D or 360º platform is right for you, one option in Nodalview. If you are scanning with Matterport, Nodalview may be an option for lower price properties where you need an easy solution that can be shot quickly – a 360º in 5 to 10 rooms in a house or commercial space in less than 30 minutes - including unpacking and packing up. For less than $250 in accessories plus a monthly subscription you can begin creating Nodalview Tours. 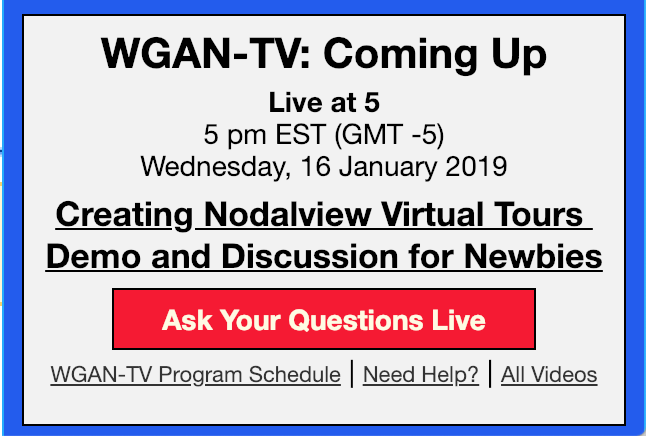 Thomas and Yan will demo how to shoot and edit a Nodalview tour (and will assume no prior experience with Nodalview).